The recent recall of romaine lettuce due to E. coli has been in effect across Canada and the U.S. since Nov. 26th, but the problem started long before that, likely in a California production centre or farm where the food was contaminated. In Ontario, one technology company is working on a way to help prevent these types of outbreaks using blockchain technology. Adastra Corp., an information management company that helps organizations build technology solutions, is working with a local provincial grower to apply blockchain to track its products throughout the food production process. 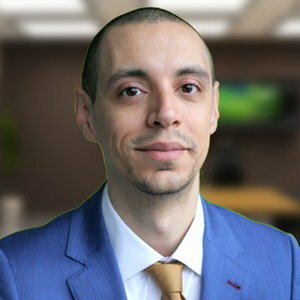 Marcos Da Silva, director of analytics products and strategy at Adastra argues that by applying blockchain to this type of food supply chain, the romaine lettuce mass recall could have been prevented and the E. coli outbreak could have been discovered long before it made it to the shelves of supermarkets or into the homes of consumers. “What is missing in a traditional [food supply chain] database is trust,” Da Silva told ITBusiness.ca. He says applying blockchain technology to the food supply chain would ensure that the food on consumers’ tables is safe. Blockchain is built on the idea that it is a digital ledger tracking every piece of information about a product from start to finish. There are two types of blockchain, public and private (the latter of which offers more security and control for enterprises). Companies like Adastra are looking for ways to apply private blockchain to problems like food traceability. For example, when a seed is planted that would be recorded on the ledger, and then at every subsequent point in its evolution from harvesting, to transporting, and production all the way to the dinner table, that seed or piece of produce is tracked and recorded on blockchain. The idea is one single source of truth that knows everything that has happened to that specific piece of produce and every single place its been. In this way, food producers could improve food traceability, pinpointing exactly when and where contamination occurs. And instead of having to implement a total recall of an entire item, they would be able to say exactly which product was contaminated and quarantine that one, or the small group of products that may have come in contact. The idea, said Da Silva, is to eventually be able to notify customers specifically if the produce they bought was contaminated, rather than of doing a mass recall and creating country-wide panic. Food traceability is where blockchain really makes sense, Da Silva told ITBusiness.ca. However, not everyone agrees that blockchain in the revolutionary solution to food traceability woes. He explains that blockchain is just one approach to solve issues with food safety and traceability. “One of the major selling points of blockchain is the idea of moving from paper-based records to digital records, but we don’t need blockchain to do that.” He argues that a simple spreadsheet could, in fact, be the answer. The idea of applying blockchain to improve food traceability is not necessarily new, in fact, IBM Corp. and Walmart Inc. are currently working on building a global food supply chain using the digital ledger technology. According to a video explaining Walmart’s blockchain project, Frank Yiannas, VP of food safety at Walmart said one the reason the corporation started the project was because of the increased number of outbreaks related to food in the U.S. last year, including a lettuce outbreak that led to one death. It is working on two blockchain pilots, one in the U.S. and one in China. Last year Walmart announced one of those pilots focused on mangos, was able to successfully use blockchain to trace the product. Yiannas said that he asked his team to trace a package of mangos to their source using traditional supply chain and it apparently took six days, 18 hours and 26 minutes. Then doing the same exercise using IBM’s blockchain technology it took only 2.2 seconds to trace. Goodridge argues that if Walmart’s program is successful it doesn’t mean that blockchain will work for the rest of the industry. He says that for blockchain to truly be the one, single source of truth, it needs to be adopted industry-wide. However, making that happen is one of the major challenges of implementing the technology. Walmart may succeed he argues but only because it is a large, multinational organization that has power and control to influence its suppliers and force them to adopt the technology. Industry-wide adoption with smaller players is a lot harder Goodridge emphasizes. Could starting small be the solution? Back in Ontario, Da Silva says Adastra is working with one medium-sized food grower to apply the technology just to its business and line of products. However, the project with the grower did not actually start out with the goal of improving food traceability. Da Silva says the grower reached out to Adastra looking for help with understanding the products it grows on a granular level and it was the information management company that suggested using that data and applying blockchain for food traceability. Toronto-based Adastra actually offers a number of services from big data, cloud services, and IoT and only started working in blockchain about a year ago, but Da Silva says it quickly identified the food industry as an area of promise for the technology. Though the project with the local grower does not specifically deal with lettuce, Da Silva says he calls it “a day in the life of lettuce” to help easily explain it to his friends and family. The project is focused on using the data collected about each individual food item and tracking it as it goes from farm to table. Da Silva says working with a local grower is very valuable because one, consumers’ typically trust that local goods are safe and organic, and two, its easier to track minute details like the exact type of fertilizer used, what farm the item came from, etc.. The project is still in early stages, however, and there are challenges to applying blockchain to live produce. For example, Adastra is still working on a way to properly label live produce with some sort of barcode or sticker that would not fall off during production. Now, while this isn’t necessarily an issue with blockchain technology itself, the digital ledge would not be possible if stickers are falling off or the food can’t be properly and consistently tracked at every stage. Goodridge points out that this is a challenge not only for Adastra but the food industry as a whole. He also adds that tracing fresh produce that gets chopped up for example and added to a salad, or food that has many fresh ingredients all mixed together would be almost impossible to trace on blockchain. Da Silva also noted there has been pushback from the industry with Adastra’s project. Issues with procurement agreements and retailer systems that are not ready to deal with blockchain technology have delayed the launch of the project. “People say blockchain is the revolution and solution to food traceability, I’m more cautious,” says Goodridge. While blockchain as a mainstream technology still has a ways to go, Walmart and IBM have said they plan to fully launch their lettuce blockchain project in the fall of next year, and Da Silva says he hopes Adastra’s project with the Ontario grower will be in production in the first half of 2019.